Easter is a great time to let your child’s imaginations flow and be creative. children are fond of crafts and colors so let them enjoy Easter with loads of easy and fun crafts that will keep them busy and will let their creative side shine. You can let them be creative or indulge in the activities alongside to help your child too. 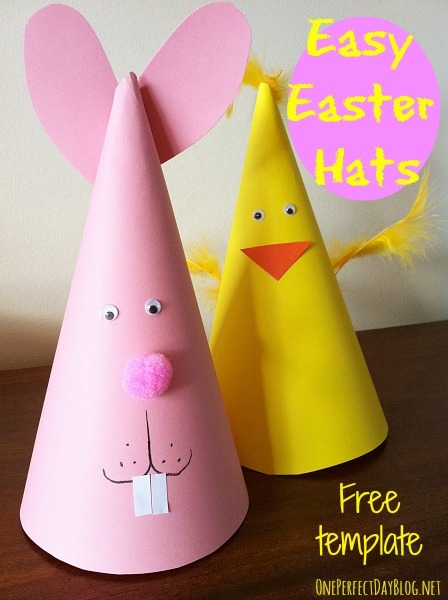 Easter crafts are a great way to get involved with your child in a fun and creative way. Here we present some easy and fun ideas for this year’s Easter. 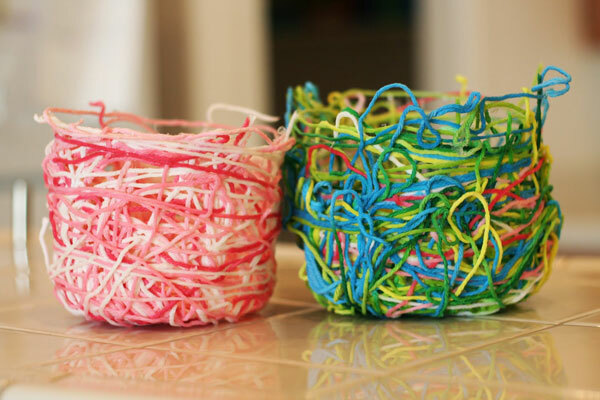 If your kid is very young then trying some easy Easter craft ideas with him will be a great idea. If you are looking for some easy craft ideas for your children see these easy craft ideas. 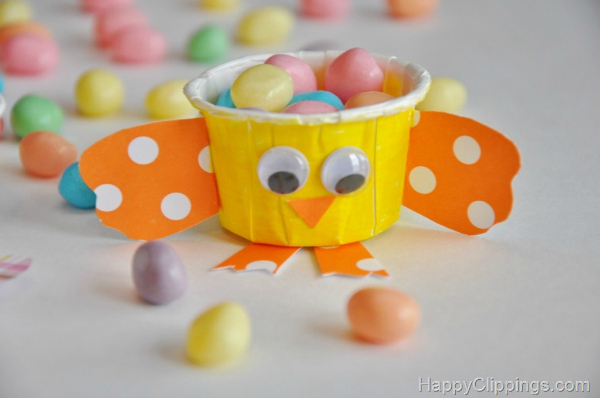 This cute and simple Chick Bunny Easter Craft idea from Happy Clippings is so easy to make. You will need small plastic cups, some colored paper, two plastic eyes and small Easter egg candies to fill the cup in. Use a bright yellow paper to cover the cup and use orange craft paper to make the wings, the beak and the feet. 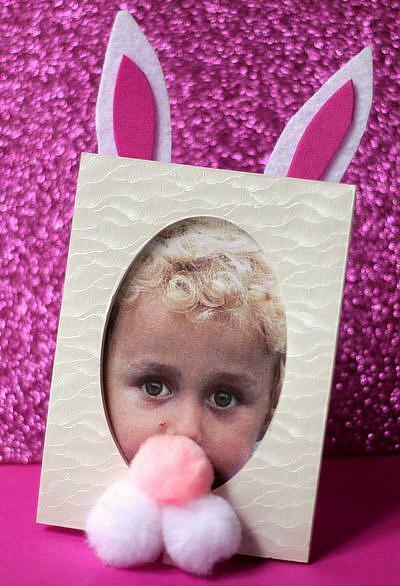 Turn your Kid into a Funny Bunny with this craft idea from Parenting.com. Your kids will love this craft and it’s very easy to do by any child. All you need is a photo of your little one, a small photo frame, some foam for craft and a few cotton pompom balls for the bunny teeth. This cute and easy craft idea will surely be loved by your child. 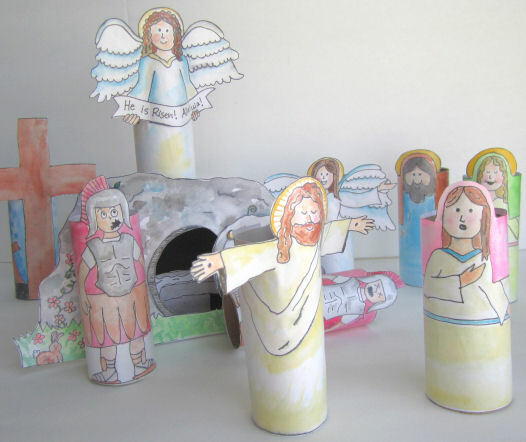 Your kid may want to make a resurrection set to show the biblical journey of Jesus from his rise from the Tom and his triumph over death and evil and more. 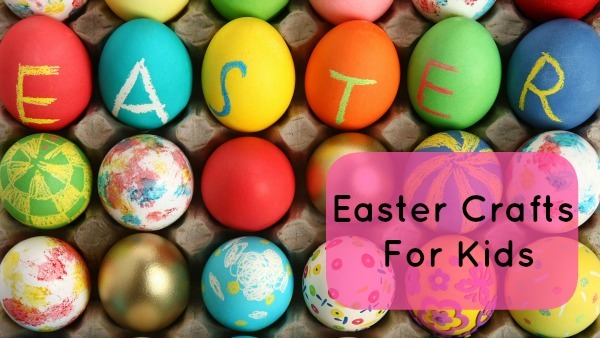 If that’s what you are planning to do for this Easter try these easy crafts which will have your kid know the story behind Easter. From Catholicicing.com we found this very attractive and engaging Craft idea for your kid. This full resurrection kit can be made from scratch with drawing the characters and then using tissue paper tubes as their base. The drawings can be done easily on pieces of tick craft paper and then glued over the tube bases. Catholicicing.com also has a set of free printable version of these characters you can color and use. 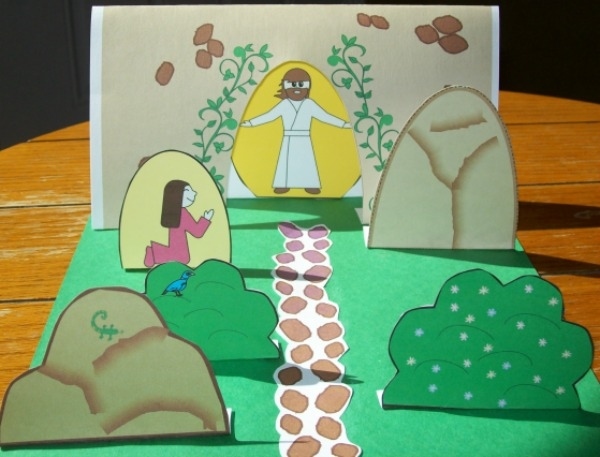 If you would like to let your kid learn the Biblical story behind Easter in a fun and creative way choose this fun craft idea where the whole story of how Jesus rose from his tomb ; triumphed over evil and death and more. At last there is the happy face of mother Mary staring at Jesus. this craft is also available for download at smartypantsfun.com for free. This Craft idea from learnplayimagine.com is very easy. To make this design stick some contact paper to a glass door or window with the sticky side out in a cross shape. 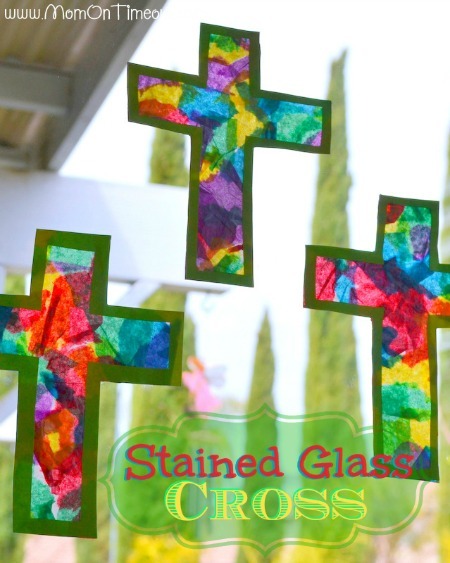 Add some colored border to the Cross design and invite your kids to be creative. Then use colored tissue paper to make small squares(use lots of different colors) and ask you kids to stick then to the cross. 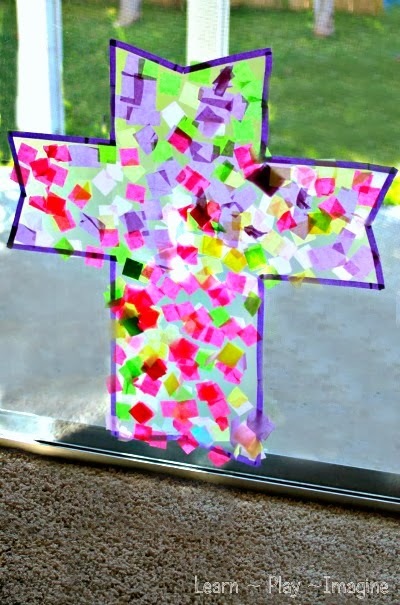 This stained glass Cross Craft design from MomOnTimeOut.com is very creative as well as easy to do for kids of all ages. The products needed for this craft are wax paper, various colored tissue paper, cross cutouts, glue, scissors and an ice cream stick. The design is very attractive and easy for every kid . 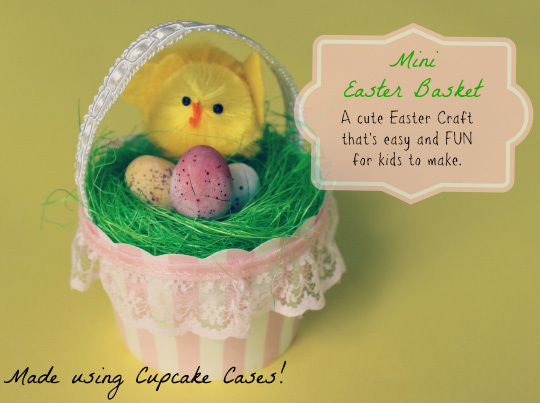 Fun Easter Craft ideas are great if you want to indulge your kids and let them have some fun.Fun Easter ideas make for a great school and home activity and are a perfect occasion for you to spend a lot of fun moments with your kid. Kids love it when Easter Bunny drops lots of goodies in Easter eggs and it’s a great craft for preschool kids. This craft from Babyology.com.au uses loads of colorful wool to make an attractive and fun basket for Easter bunny to leave a few Easter eggs. 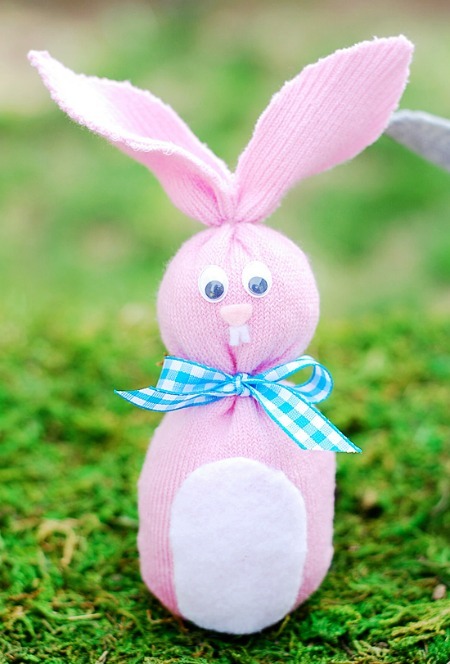 This Easter Bunny Sock craft from Thenshemade.com is a fun way to use your old socks up. Even if you are using a new pair these make for a great way to invite your kids to something creative. Use stuff lying around in your house to make this cute Sock Bunny. If you are dealing with toddlers or preschoolers then it’s necessary to have the craft ideas simple. The craft should be attractive yet simple for them to do without much effort. 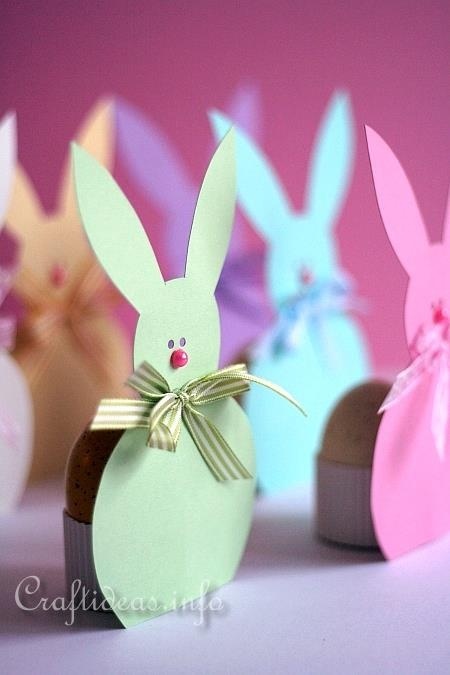 These are some ideas we gathered for those who want Simple Easter Crafts For kids. This craft idea from Artcraftideas.net is very easy and is best suited for Preschoolers of age 3 to 4 . 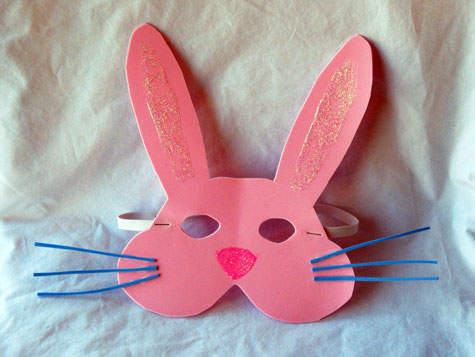 You can have them use craft scissors and colorful paper to make the bunny face. use blue straws to make the whiskers and lots of glitter for the ears. Easter bunny is the most prominent part of the Easter Tradition and it’s a great way to indulge your kids into some creative craft. 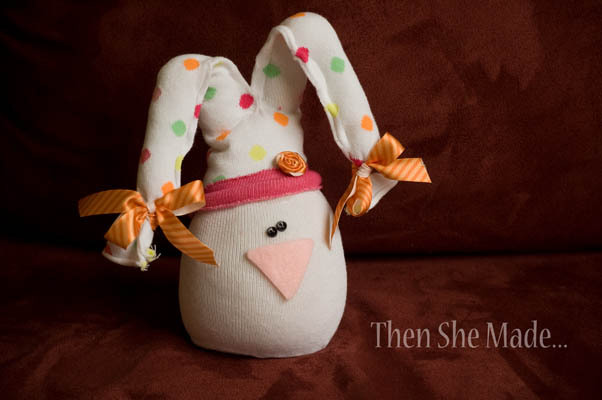 This Sock Bunny Craft from apumpkinandaprincess.com is very easy to make . The sock is filled in with rice and small clear rubber brands are used to make the bunny shape. Then white felt is used for the rabbit belly and the teeth. Use an attractive ribbon to make a bow. 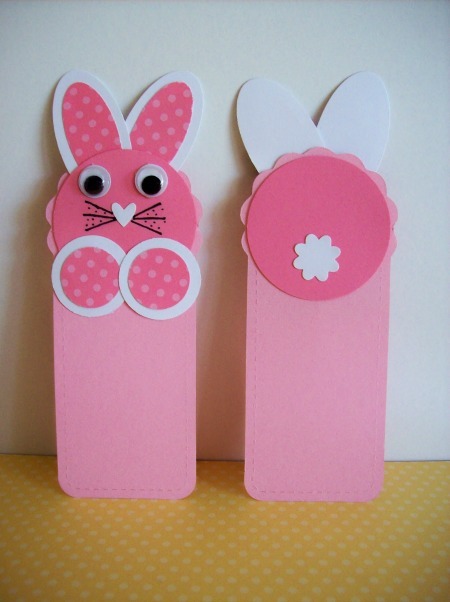 You can make these cute and attractive Bunny Bookmarks for Easter. The craft require very easily available stuff. You can use patterned paper, safety scissors to make the designs. 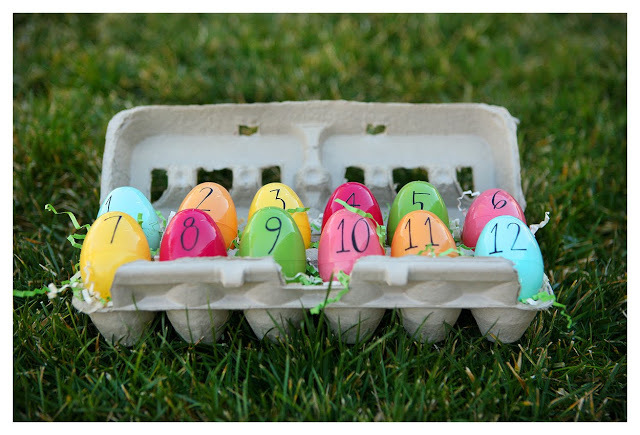 This easy Easter Countdown Egg Craft from Eighteen25 is so easy to do. All you need is an empty egg carton and a few plastic Easter eggs. Use colorful Easter eggs and fill them with treats and treasures. The eggs are then numbered and hidden. This is a fun craft for all kids and family members. Kids will look forward to finding whats inside. You can also add some artificial Easter grass . 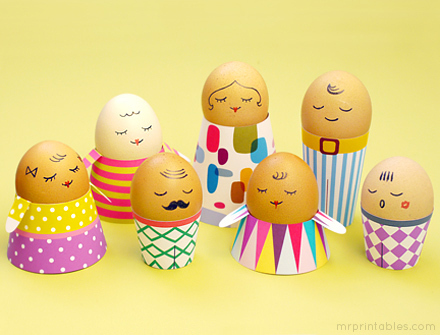 Easter Egg Human Characters look very pretty, and this one from Mrprintables is very attractive. You can use eggs to make different human characters and add some cool designs below them to create their unique dresses and clothing. Here we see a family made out of eggs especially for Easter. 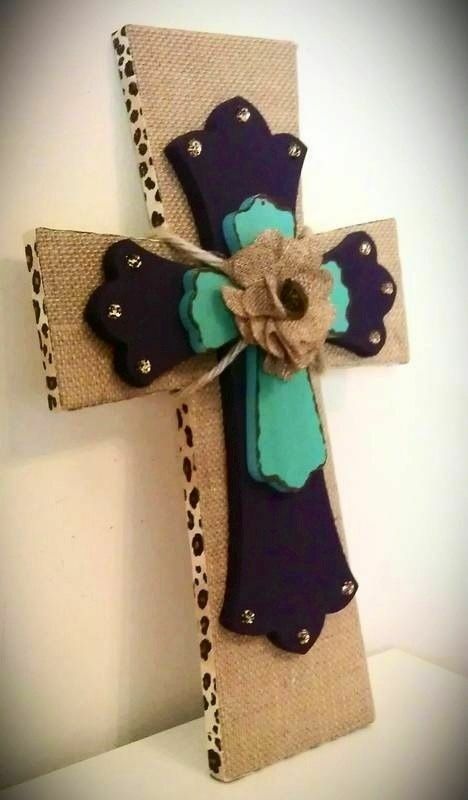 This cross is made from different things like jute, paper and cloth. It’s very easy to make and will be a great way to keep your child busy with crafts. Kids will need help from you but it will be a great Family activity making these. 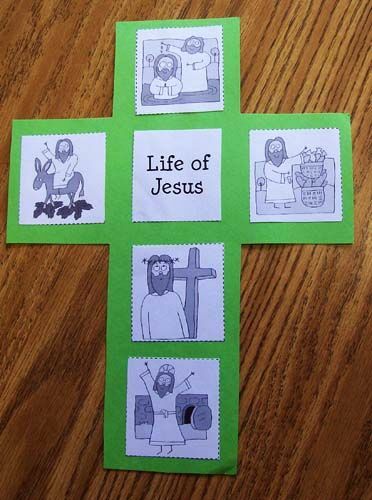 This cross craft idea is from Prekinders.com and will be very successful with kids who know the stories from bible on a regular basis. If your kids hear stories from you quite regularly ask them to tell those stories and write them into the cross. This creative Easter Basket Craft idea from urbancomfort.typepad.com is very easy and also very attractive. 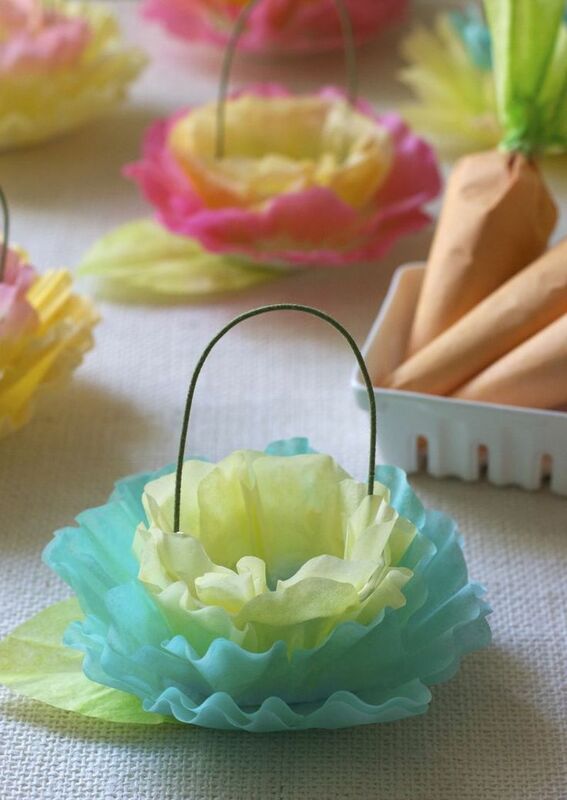 The baskets are made from Coffee filters in various colors and will make for great Easter egg baskets . 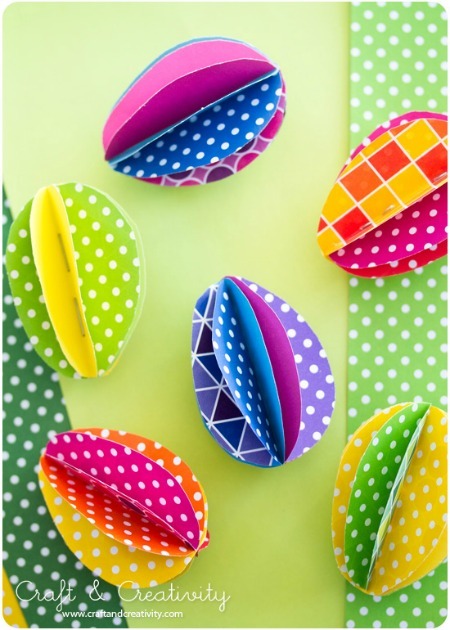 This cute bunny Easter Egg Holder design is from craftideas.info .These easy bunny Easter Egg holders make for an easy and simple paper Craft. All you need is a cupcake cases and colored craft papers. Cute laces to tie at the neck and a few beads to make the nose. We hope these ideas did make you excited. Don’t wait and try these ideas with your little one soon. Choose a craft suitable for your kid’s age and see his creativity flow. Do let us know if you tried any of the Craft ideas.